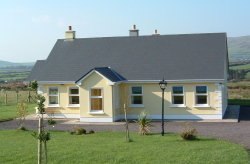 Holiday Rentals In Ireland - Holiday Cottages to Rent. 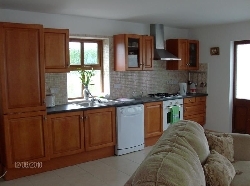 Welcome to our selection of holiday rentals in Ireland. 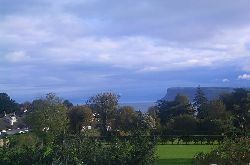 Ireland is commonly known as The Emerald Isle with its temperate climate ensuring the lustre of its landscape. In the Republic, which is also known as Southern Ireland there are half a dozen national parks with the best known and earliest to enjoy being that of Killarney National Park. It has restless waterfalls, rippleless lakes that cast perfect reflections, undulating mountains and hills showered in oaks, yews and seasonal flora providing towering forests, shaded woodlands as well as open moorland, parks and gardens and the very special indigenous red deer that feasts on these lavish lands. It first opened back in 1932 and this encouraged five other parks throughout the Republic to follow offering their own unique distinctions. Killarney has been recognised by UNESCO as a Biosphere Reserve and a Special Area of Conservation. Northern Ireland is currently seeking to encapsulate its own natural beauty of the Mourne Mountains with the status of a National Park. The vista laden views not only give substance to the myths of leprechauns and the crocks of gold at the end of the rainbows but endearing quality to hikers, cyclists, climbers, anglers, nature lovers and swathes of golf clubs that use the natural background to create challenging courses. Folklore is recorded and born in the inns and taverns where the guitar and other instruments are often played to the public with music that tells wry and humerous tales of the people, its culture and its past. None more so than in Dublin where the Temple Bar area to the south of the River Liffey staggers the times of its public houses so there is always somewhere to enjoy the joviality of the Irish festivities. 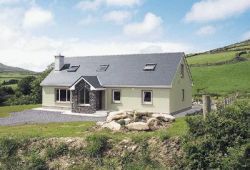 Looking for self catering holiday accommodation in Ireland?, then below is a selection of cottages in Ireland and apartments in Ireland that can be rented direct from their owners. You can either click on each listing for further details or you can use our search engine on the left if you are looking for something in particular. 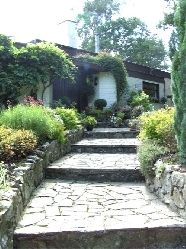 Here you can find useful links for tourist attractions and services in Ireland including links to the Dublin Zoo, Guinness Storehouse, National Aquatic Centre, Cliffs of Moher, The Book of Kells, The National Gallery of Ireland, Botanic Gardens, The Giant�s Causeway, Bushmills Distillery and Belleek Pottery.